Home Blog BGP Route Dampening: obsolete or still used in the industry? BGP Route Dampening: obsolete or still used in the industry? The unstable route whose availability alters repeatedly is called a flap. 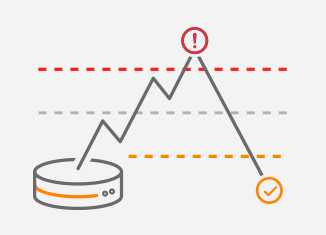 When flaps occur, fexcessive number of BGP UPDATE messages are sent to BGP peers which in turn increases the load of the peers and excessively consumes CPU power. The goal of BGP route dampening when first introduced was to reduce the propagation of flapping routes without affecting the convergence time of the stable routes. It was designed to decrease the load on routers and increase the overall network stability, as the stable prefixes would still be advertised while the propagation of the flapping routes would remain suppressed until such routes become stable again. BGP Route dampening was applied locally on the routes learned by the eBGP peers. Let’s explain the BGP Route Dampening concept using the network topology depicted in Picture 1. The routers R1 (AS 64501) and R2 (AS 64502) are eBGP peers. Both routers are running Cisco IOS 15.6(2)T.
Static null routes are configured and presented in a routing table of R2 in order to advertise a route 1.1.1.1/32 toward the R1. BGP Route dampening is disabled by default. The penalty will be reduced to half after 15 minutes (Half-life time). The routes will not be used when the Suppress penalty 2000 is reached. The dampened route will be reused when the penalty is decoyed into 750 (Reuse penalty). The routes experiencing route flaps should not be suppressed for more than 60 minutes (Max suppress time). In order to explain all parameters, we will configure R2 to flap the route 1.1.1.1/32. This will be simulated by putting the command no ip route 1.1.1.1 255.255.255.255 in the configuration of R2. Afterwards, we will let the route 1.1.1.1/32 appear in the routing table of R2 again, issuing the command ip route 1.1.1.1 255.255.255.255. The R1 router is configured for BGP route dampening. Once it receives the route withdraw inside the UPDATE message, the first flap of the route 1.1.1.1/32 is detected. R1 charges a 1000 penalty for the prefix 1.1.1.1/32 (Picture 3). The penalty is charged every time the route flaps. The letter ‘h’ left to the route means that the route is put into a history state. The flapped route is marked as having flap history and the flap counter is set to 1. However, the flapped route is still advertised to the neighbor. The penalty is decreased by half after the half-life point is reached which is the default 15 minutes. For instance, when a single flap occurs, after 15 minutes the penalty decreases from 1000 to 500. The penalty continues to decrease exponentially with time if no further flaps occur (Picture 5). This process of decoying penalty occurs every 5 seconds. Penalties are cumulative, they are added with each flap. When another flap occurs, the penalty value is increased by 1000. After the second flap, the penalty is 1782 (Picture 6). After the third flap, the penalty value is 2635 (Picture 7). The penalty value exceeds the suppress limit (2000 by default) and the route 1.1.1.1/32 is suppressed. The route is not used for forwarding and it is not advertised to any eBGP neighbor. The state of a route is changed from History to Damp (Picture 8). Once a route is stabilized and is dropped below a reuse limit, the route 1.1.1.1/32 gets to be re-advertised again (Picture 9). The default reuse value is 750, the router checks every 10 second for the routes that have fallen under the reuse-limit. The penalty value continues to decay if the route 1.1.1.1/32 does not flap again (Picture 10). However, If the prefix carries on flapping, penalty is incremented. The penalty value is eventually reset to zero when the penalty is less than ½ of the reuse limit (375 by default) (Picture 11). 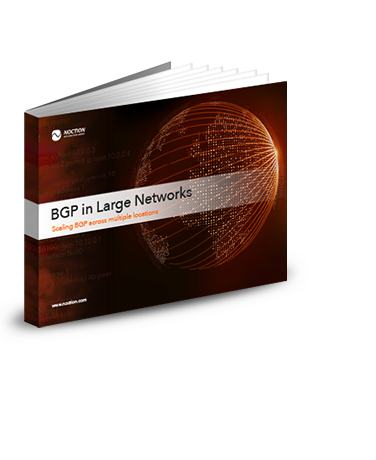 The increase of routers’ processing power has made the practice of using BGP dampening to prevent CPU consumption obsolete. Modern routers have enough CPU power to support BGP updates without negatively affecting performance, mostly when they hold only a subset of a full BGP table. BGP Flap dampening is not considered a good practice any longer. There is a number of negative effects associated with the use of technology described in the RIPE Routing Working Group Recommendations On Route-flap Damping. It makes complete sense for this feature to be disabled by default on Cisco routers. Nevertheless it can still be used between the eBGP peers on private links. For instance, it can prevent traffic oscillation between the primary and the backup paths.